What attracted Judy and her husband to the World Golf Village in St. Augustine — golf of course! The first golf course to be built in World Golf Village was The Slammer & Squire, which opened in May of 1998. The golf course took its name from its design consultants Sam (The Slammer) Snead and Gene (The Squire) Sarazen. Judy says that they saw the area as having “a lot of potential with its location and presence.” She remembers visiting the site the end of 1997 when there were only dirt roads in the neighborhoods. The Renaissance, Hall of Fame and The Slammer & Squire were all under construction. 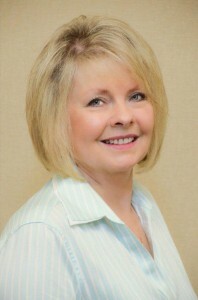 Judy came to Davidson Realty in 2007 as a real estate agent after working as a site agent for The Legends. After deciding to retire, she still helps on a part-time basis as a receptionist and provides administrative help with Davidson Property Management. Employees like Judy make Davidson Realty a great and interesting place to work!